The Three Locks Golf Club is very popular with visitors from the local area. 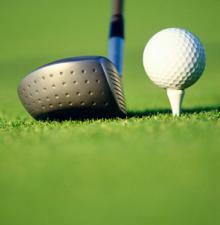 We guarantee you a warm welcome and the course provides a good test for all levels of golfer. We do not have a strict dress code although the usual golfing attire is required, jeans are not permitted and you must have a collar and golf shoes. Golfers of all abilities are welcome, whether you are just taking up the great game of golf or are an experienced player. Please ensure that the pace of play is not too slow and try to let faster groups play through where possible. To reserve a tee time please call the club on the number opposite to check availability. Buggies are readily available and can also be booked by calling the club on 01525 270 050. MEMBERSHIP OFFER FOR A LIMITED TIME! It is important to balance business with pleasure. Holding a corporate golf day at Three Locks Golf Club, will challenge your most experienced colleagues with some of the finest golf in the area. Download our Society Pack here. The Three Locks Golf Club regularly plays host to visiting societies – many of whom are returning after an enjoyable first visit. The course is ideally suited to society and corporate golf days. 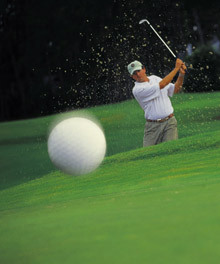 It is a fair test for golfers of all levels, without being overly long and demanding for the more occasional golfer. There are also spectacular views over the surrounding countryside. We are able to host large groups and our lounge bar and restaurant area will cater for any of your hospitality requirements. Click here for details. To arrange a visit to see the Three Locks Golf Club, its excellent facilities, and to discuss what you need - everything from themes to facilities, menus, decorations and entertainment - please complete our enquiry form or call the venue on 01525 270 050.